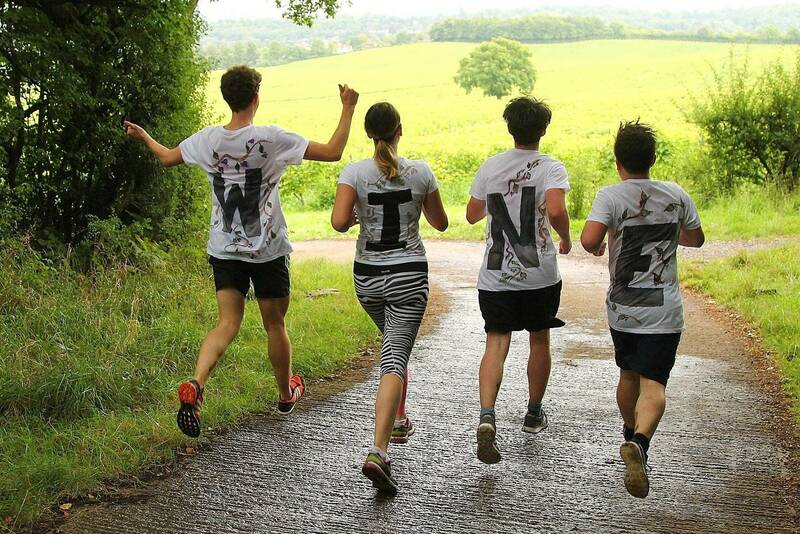 All the races start and finish at Denbies Wine Estate near Dorking. As England’s largest vineyard, Denbies has been producing award-winning English wines since 1986. The vineyards of Denbies Estate are situated on the famous chalky soil of the North Downs in a protected valley of south facing slopes. The venue has secure baggage, toilets and changing facilities. In addition to the food and drink we serve during the race, refreshments are available for purchase from the restaurant pre and a post-event. Supporters can also purchase food and drink at the post event hog roast. Friends, family and supporters are welcome to spend the day at Denbies where they can enjoy indoor wine tasting, the art gallery, the farm shop, wine and gift shop. They are also free to walk around the estate while you are running. Entry to the estate is free of charge and there is ample parking on site for non runners. 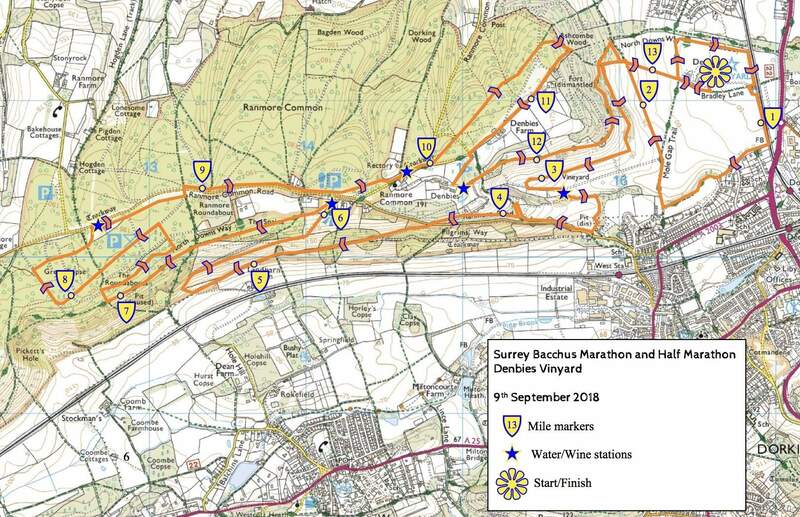 The route is one lap (Half) or two laps (Full) and starts and finishes at the main building inside Denbies Vineyard near Dorking, Surrey. The route is undulating (with one significant hill) and multi-terrain with a bias towards road. 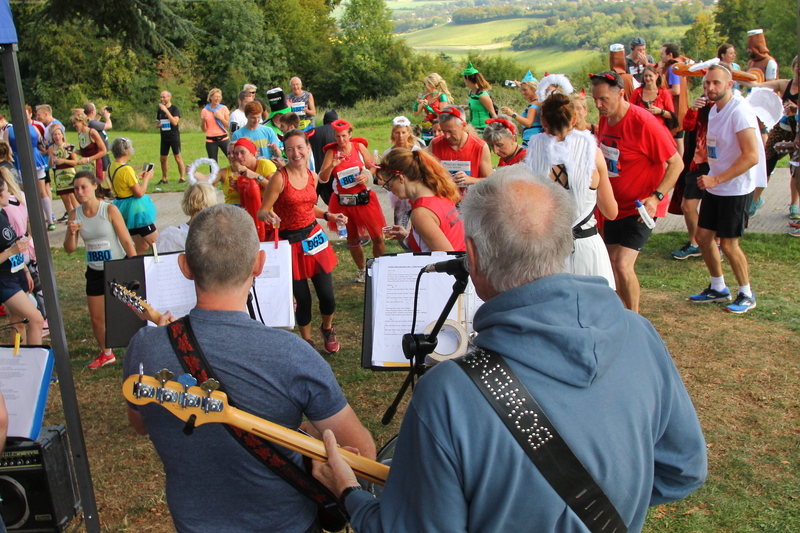 Half of the course is inside the beautiful Denbies Wine Estate, the other half passes through National Trust countryside and woodland along the Pilgrims Way and North Downs Way. It's a demanding route but also a beautiful one, which offers breath-taking views over the Mole Valley, Ranmore Common and the North Downs. Although some runners choose to run it as quickly as possible, most take a lighter view of the day and take their time to make the most of the sampling stations along the route. The course is traffic-free although there is one crossing of a major road which will be policed by marshals. The route is clearly marked and signed along the way and there will be marshals at all key turns and junctions. The marshals are there for your safety so please pay attention to any instructions they give you.